Another great way to keep your blood sugar low is by adding regular exercise to your overall routine. Exercise can significantly lower blood sugar over both the short and long term by making your cells more receptive to insulin. Be sure not to do exercise that makes you strain, such as weightlifting, or high-impact exercise such as football, since these can cause the blood vessels in your eye to strain and be damaged. High blood pressure can also cause your eyes to become damaged. One very important step to make sure your blood pressure remains at a healthy level is to make sure that you always maintain a healthy weight. Maintaining a healthy diet and having a healthy exercise regimen can help drop excess weight. Being familiar with the symptoms of eye problems associated with diabetes, such as retinopathy, glaucoma and cataracts can help you know when it's time to go to the doctor. If you find that you have blind spots or you see rainbow-like halos around images, these may be symptoms of eye problems. Pain around the eye and eyebrow region and headaches are also serious signs that something may be wrong with your eyes, and you should seek assistance from an eye care professional immediately. It may be the most obvious on the list, but many times people don't come to see their optometrist until they feel or see something wrong with their eyes. This is a big mistake. Many serious eye problems come on slowly, and you may not notice any difference in your vision until it's too late to undo damage already done. The best way to keep your eyes healthy for the long run is to think about preventive care. People with diabetes are far more likely to develop glaucoma and cataracts than the general population, risk increases with age. 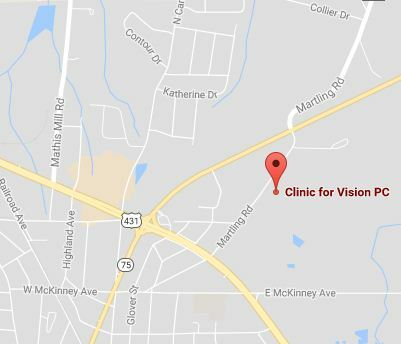 For more information, contact Dr. Nichols at www.clinicforvision.com/ or (256) 878-4201.